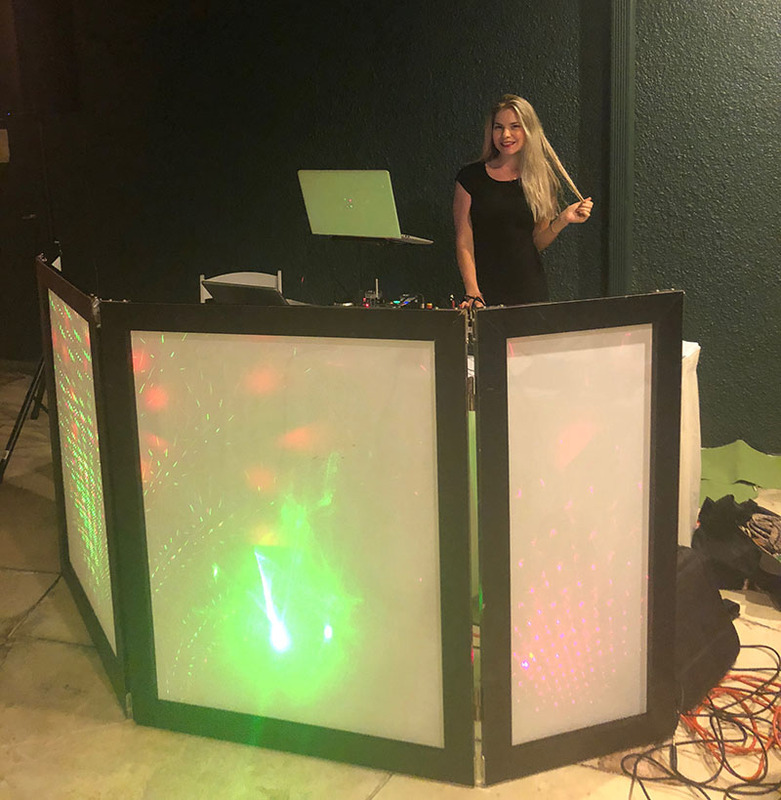 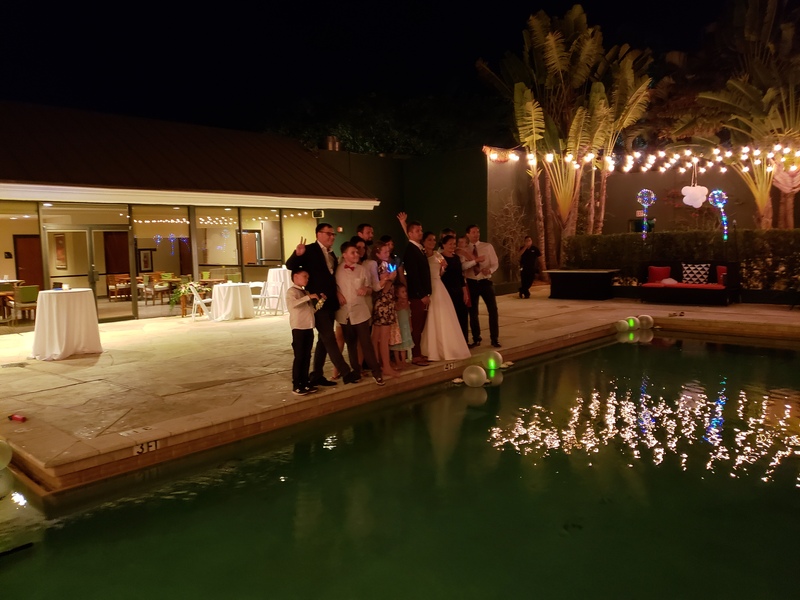 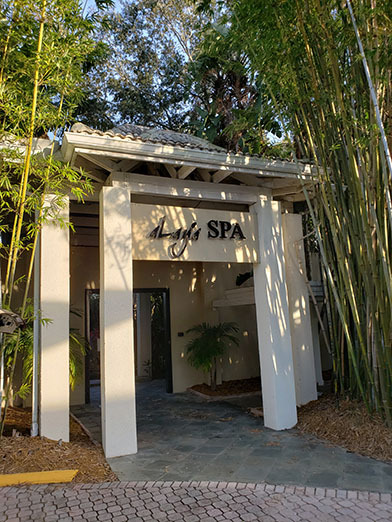 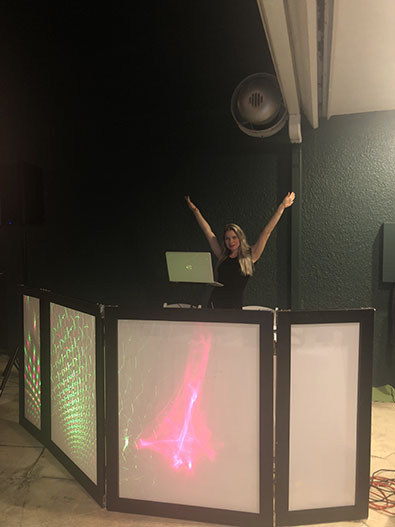 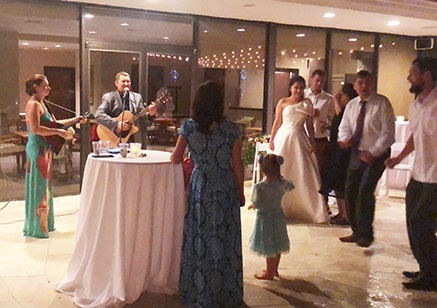 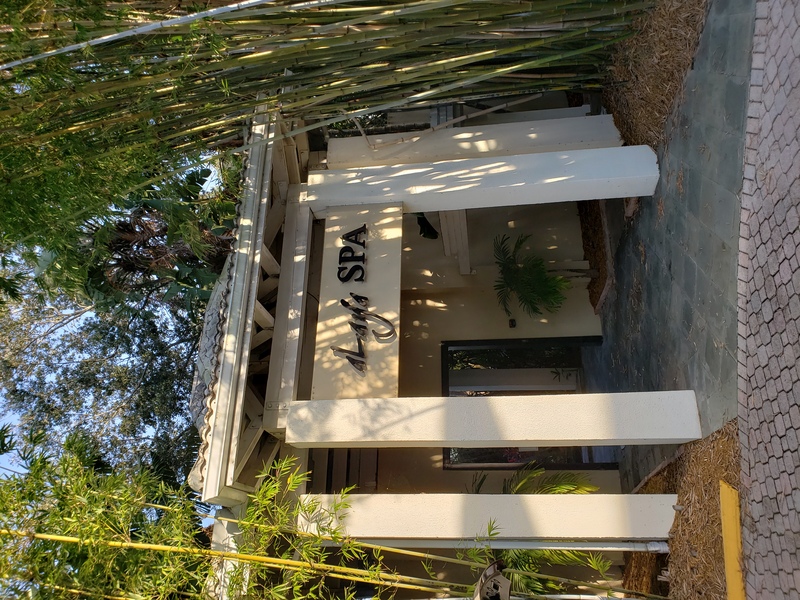 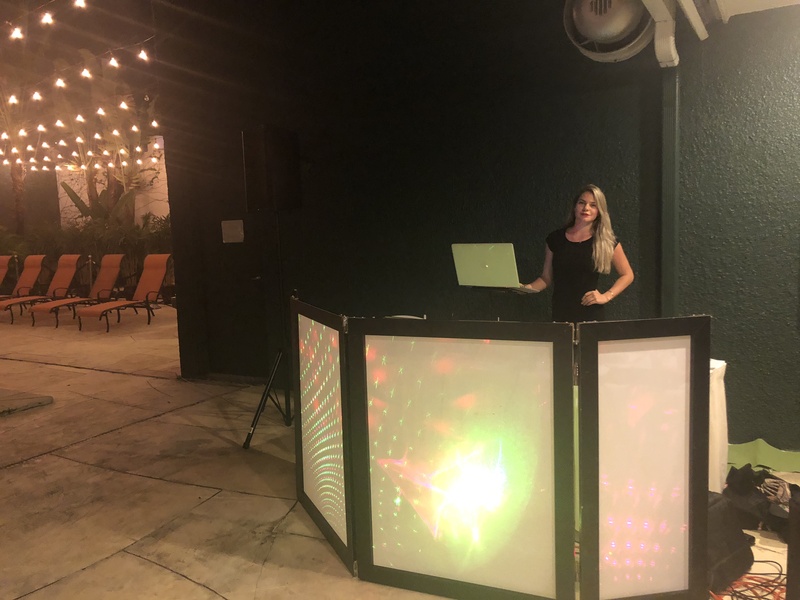 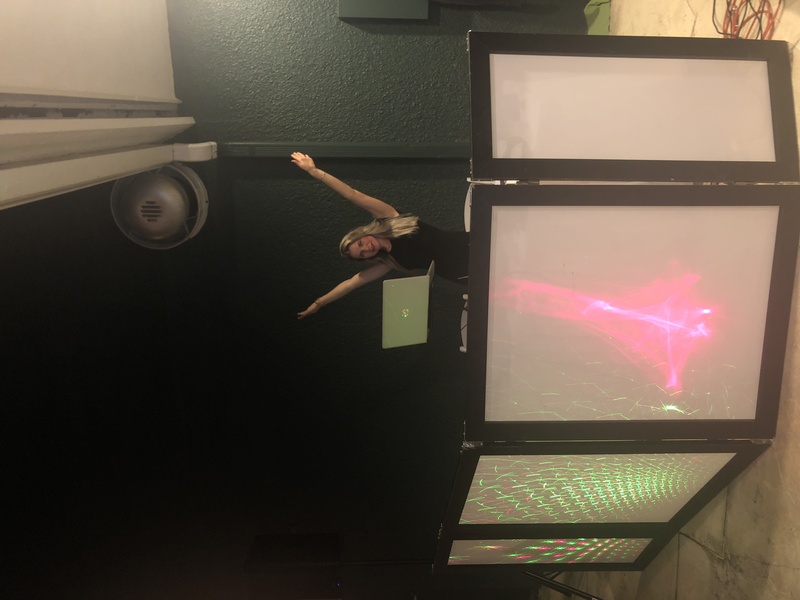 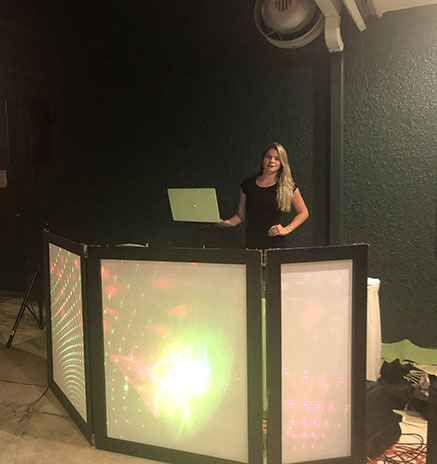 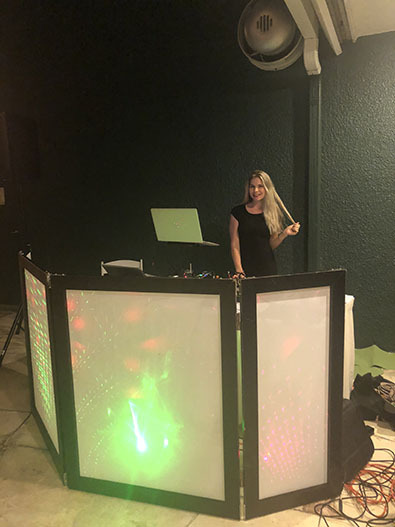 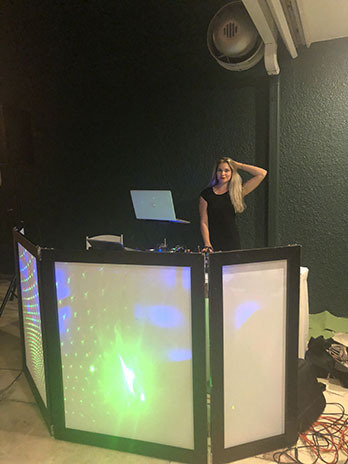 Russian-American model, DJ, dancer, actress Alisa provided music for wedding reception that took place at the Bonaventure Resort Spa, 250 Raquet Club Rd, Weston, Florida 33326 on Friday, January 4th, 2019. 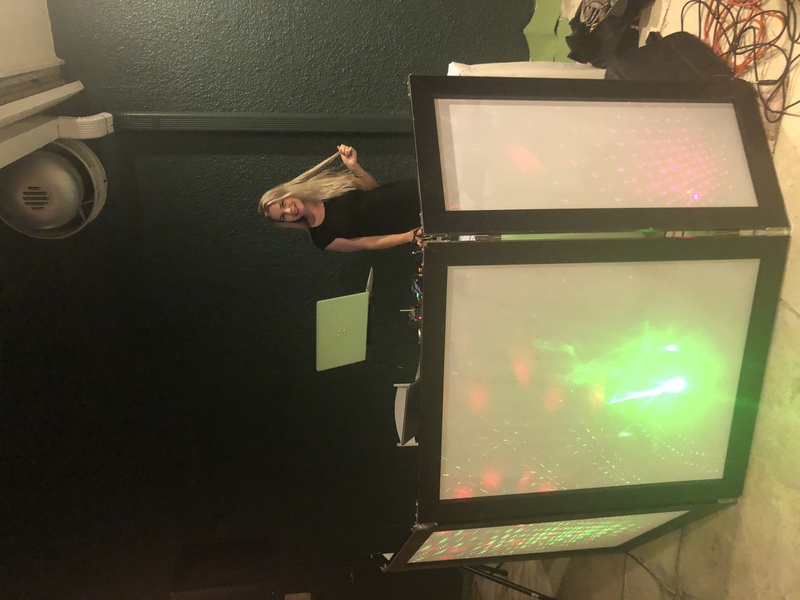 Alisa mixed popular European, Russian, and American dance hits, popular music, and a few requested songs. 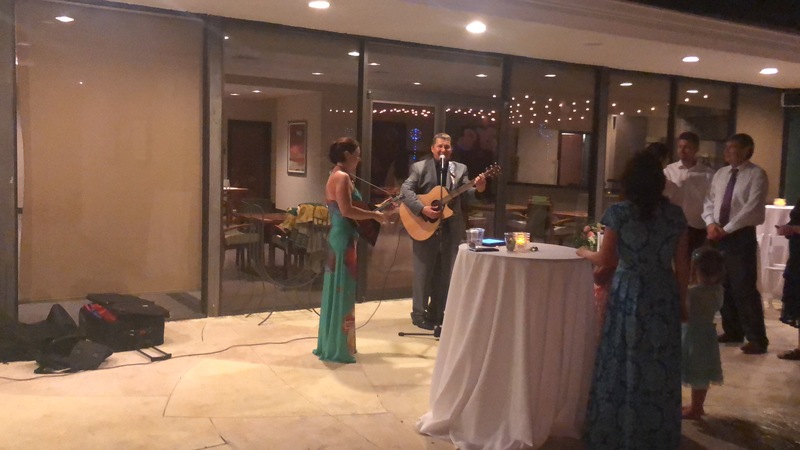 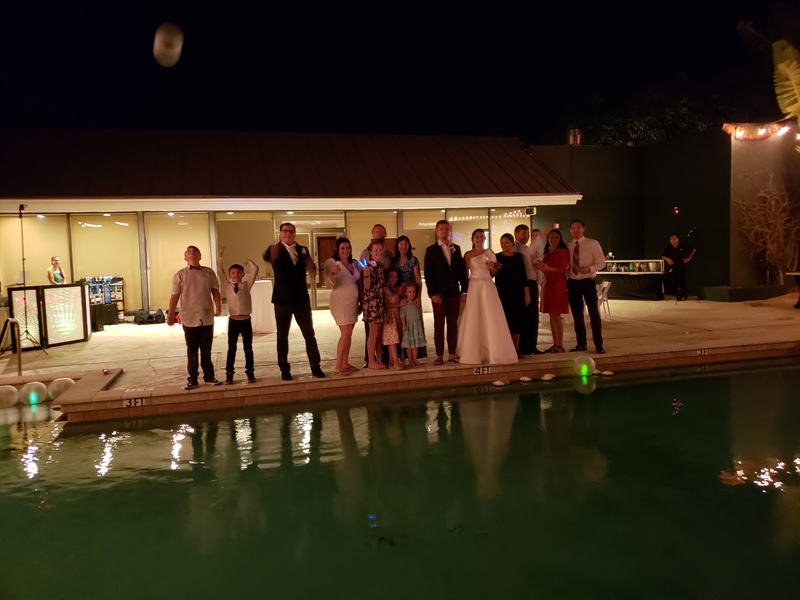 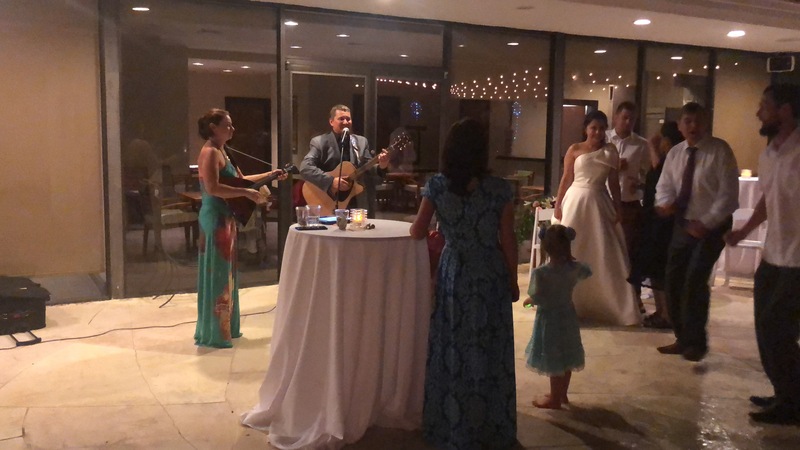 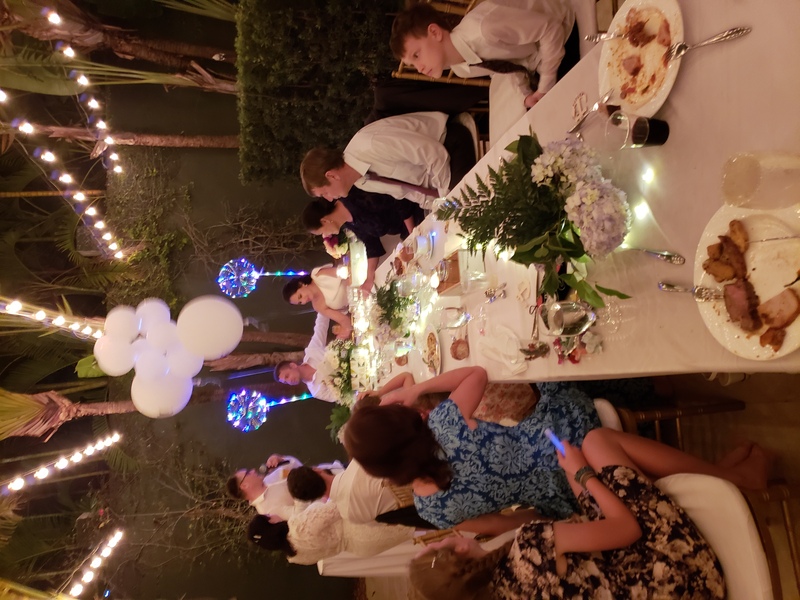 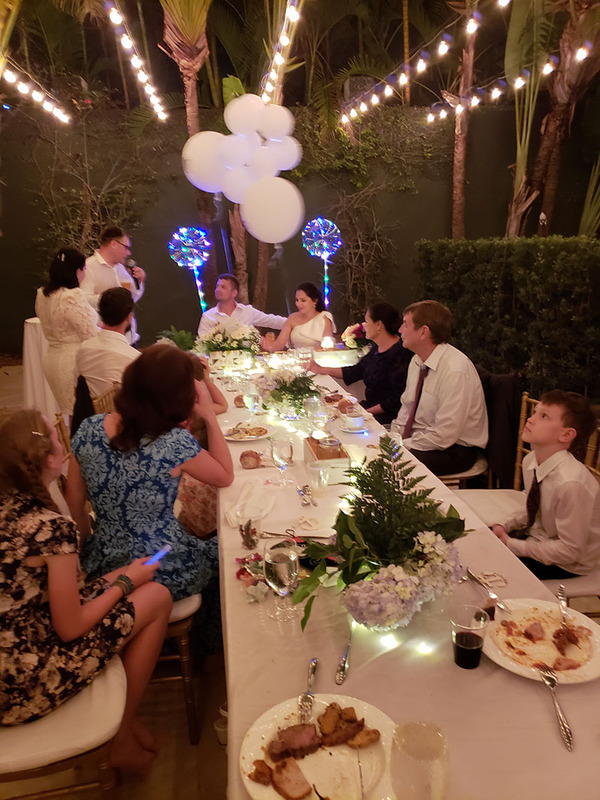 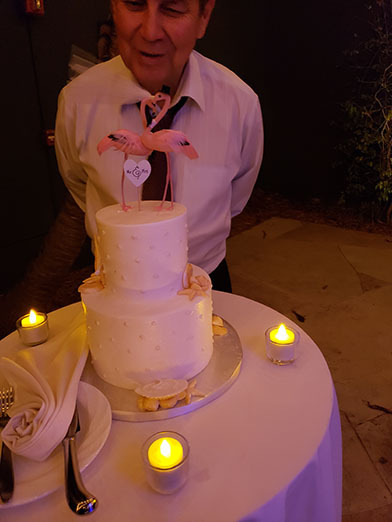 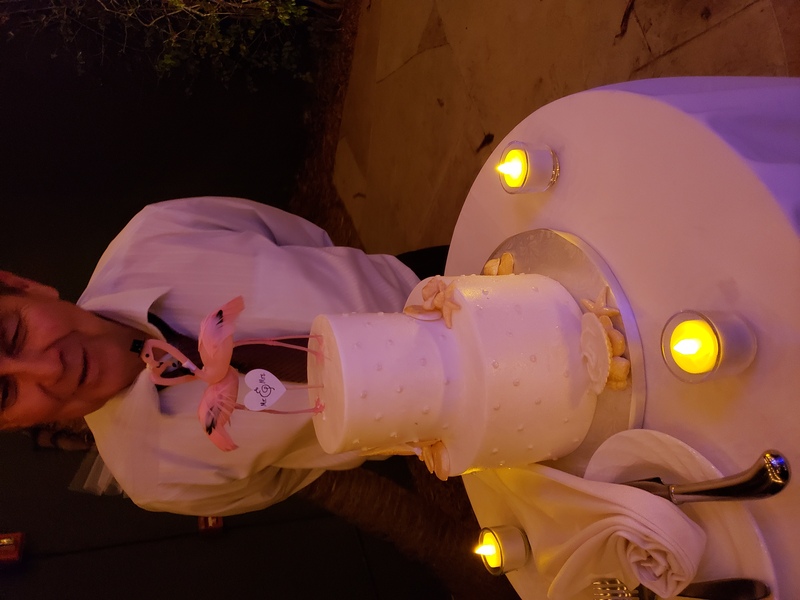 MC-tamada Misha provided extended bilingual entertainment during reception and also performed the Ceremony at beautiful Florida's Botanical Gardens & Everglades Wildlife Sanctuary located just west of Fort Lauderdale, Florida. 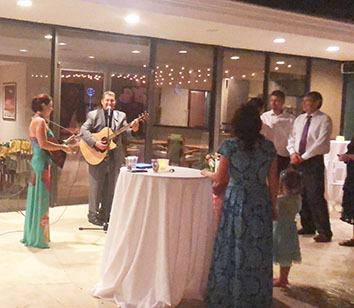 Musical numbers were performed by balalaika virtuoso Elina Karokhina. 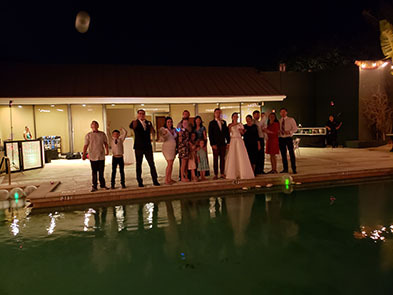 Program of the wedding included: "GRAND ENTRANCE - INTRODUCTIONS" - «ТОРЖЕСТВЕННЫЙ ВЫХОД», "FIRST DANCE" - «ПЕРВЫЙ ТАНЕЦ», "FATHER/DAUGHTER DANCE"– «ТАНЕЦ ДОЧКИ С ПАПОЙ», «ТОСТ С ШАМПАНСКИМ», «BRAKE THE GLASSES – MAZAL TOV», "GROUP PHOTO" - «ГРУППОВАЯ ФОТОГРАФИЯ», ПЕРВЫЙ ТОСТ ОТ РОДИТЕЛЕЙ НЕВЕСТЫ, "THE SNOWSTORM" - RUSSIAN WEDDING DANCE – Русский танец «МЕТЕЛИЦА», "GOBLET" - CHAROCHKA – «ЧАРОЧКА» AND GOR'KO, “RUSSIAN SALAD QUIZ” – « ЗАГАДКА ПРО САЛАТ ОЛИВЬЕ», TRIVIA FOR GUESTS "HOW WELL WE KNOW OUR NEWLYWEDS” ВИКТОРИНА ДЛЯ ГОСТЕЙ «КАК ХОРОШО МЫ ЗНАЕМ МОЛОДОЖЕНОВ», "TOAST FROM GROOMS' BROTHER from Ivanovo, Russia" – «Тост от брата жениха и его супруги из города Иваново», "KUBALIYAK" - TATAR WEDDING DANCE – Татарский танец «КУБАЛЯК», "CONSTITUTION OF THE FAMILY" – «КОНСТИТУЦИЯ СЕМЬИ», Music GAME FOR KIDS «УГАДАТЬ НОВОГОДНЮЮ ПЕСЕНКУ» and introduction of the balalaika, Toast from sister of the Bride - ТОСТ ОТ СЕСТРЫ НЕВЕСТЫ и её мужа, “MANNEQUIN CHALLENGE GAME ” - ИГРА «МАНЕКЕНЫ», "SOUND TRACKS GAME" – ИГРА «УГАДАЙ МУЗЫКУ ИЗ КИНО», GAME FOR KIDS «БАБА-ЯГА», wedding game for the couple "SECRETS OF THE NEWLYWEDS" - «СЕКРЕТЫ МОЛОДОЖЕНОВ», "MIND GAME" – ИГРА «УГАДЫВАНИЕ МЫСЛЕЙ», MUSICAL TRIVIA FOR GUESTS "WORLD MUSIC BALALAIKA MEDLEY", GAME FOR KIDS «УГАДАТЬ МУЗЫКУ ИЗ МУЛЬТИКОВ», "YOU TRICKED ME" - UKRAINIAN FOLK SONG – «ПИДМАНУЛА», "GYPSY TABLE SONG" – «ЦЫГАНСКАЯ ВЕЛИЧАЛЬНАЯ», “GYPSY INVASION” – «ПОЗДРАВЛЕНИЕ ИЗ ЦЫГАНСКОГО ТАБОРА» - "KAI YONE" - GYPSY FOLK DANCE – «КАЙ ЁНЭ», THE MOST EXPERIENCED COUPLE DANCE COMPETITION - «КОНКУРС НА САМУЮ ОПЫТНУЮ ТАНЦЕВАЛЬНУЮ ПАРУ», “WHO IS YOUR WIFE” - «УГАДАЙ, СВОЮ ЖЕНУ», “GUESS WHO IS YOUR HUSBAND” – «ИГРА ДЛЯ НЕВЕСТЫ УГАДАТЬ МУЖА» "WEDDING CAKE" – «ЦЕРЕМОНИЯ РАЗРЕЗАНИЯ ТОРТА», "GUESS THE MOVIE” GAME – ИГРА «УГАДАЙ ЧТО ЗА ФИЛЬМ», MC MISHA "RUSSIAN TABLE SONGS" – «ЗАСТОЛЬНЫЕ ПЕСНИ ПОД ГАРМОШКУ» and "NEWLYWEDS’ SPEECH" – «ТОСТ ОТ ЖЕНИХА И НЕВЕСТЫ». 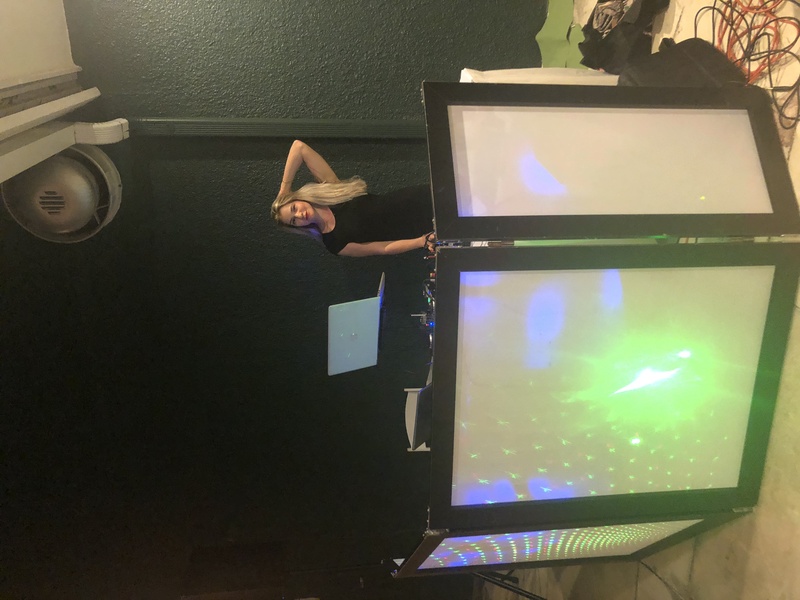 MC Mikhail, DJ Elina, and DJ Alisa provided bilingual Russian MC tamada entertainment and DJ services in Australia, Canada, Barcelo Bovara Palace Deluxe, Punta Cana, Dominican Republic, La Amada Hotel Resort and Marina, Playa Mujeres, Mexico, Now Sapphire Riviera Cancun, Puerto Morelos, Mexico, Iberostar Paraiso del Mar, Playa Paraiso, Mexico, Fairmont Mayakoba Riviera Maya Hotel, Riviera Maya, Mexico, Luxurious Beachfront Villa in Casa Herdz, Aguadilla, Puerto Rico, Wrigley Mansion in Phoenix, Arizona, Russian restaurant in Los Angeles, CA, Royal Palace Banquet Hall, Glendale, CA, St. Francis Yacht Club, San Francisco, CA, Magdalena Banquet Hall, San Francisco, CA, Shutters on the Beach, Santa Monica, CA, The Branford House Mansion, UConn Avery Point, Groton, Connecticut, Private house in Trumbull, Connecticut, Pond House Cafe, West Hartford, CT, Park Hyatt Washington, Washington, D.C, Top Of Daytona restaurant, Daytona Beach, Florida, Bonnet House Museum and Gardens, Fort Lauderdale, Florida, Temple Sinai of Hollywood Eden Regal Ballroom & Catering, Hollywood, FL, Tapestry Park Community House, Panama City Beach, Florida, Santa Rosa Beach, FL, West Palm Beach Mariott Hotel, West Palm Beach, Florida, Bonaventure Resort Spa, Weston, Florida, Birthday party on the yacht, Waikiki, Honolulu, Hawaii, Kaanapali Beach Hotel, Maui, Hawaii, Astoria Restaurant, Buffalo Grove, Illinois, Astoria and Catering Hall, Chicago, IL, Russian Tea Time, Chicago, Illinois, The Tirnanog, Lake Villa, Illinois, Indianapolis Marriott North, Indianapolis, Indiana, Wellesley Community Center, Wellesley, Massachusetts, PJ RICE BISTRO, Wheaton, Maryland, Lake Ozark, Missouri, Monarch Private Event Spaces, St. Louis, Missouri, McGuire Millrace Farm, Murphy, North Carolina, Wilmington Shell Island Resort, Wrightsville Beach, North Carolina, Searles Castle at Windham, Windham, New Hampshire, The Landmark, East Rutherford, New Jersey, Birthday party in Fort Lee, NJ, Restaurant "Zabava", Independence Township, NJ, "The Alan Catering & Events", Lodi, NJ, Mansion on Main Street, Voorhees, NJ, Tides Estate, North Haledon, NJ, Stony Hill Inn, Hackensack, NJ, SOUTH GATE MANOR, Manalapan, NJ, Chart House Restaurant, Weehawken, NJ, Dutch Apple boat river cruise, Albany, NY, Crescent Beach Club, Bayville, NY, Baku, Brooklyn, NY, Paradise Garden, Brooklyn, NY, Russian-Tatar wedding, Prospect Hall, Brooklyn, NY, Romanoff, Brooklyn, NY, Russian-Jamaican wedding, Tatiana, Brooklyn, NY, Russian-Mexican wedding, Tatiana, Brooklyn, NY, Corporate event in New York City, Polonaise Terrace, Greenpoint, NY, Water Club NYC , New York City, Pink Lady boat, Sheepshead Bay, NY, Snug Harbor Botanical Garden, Staten Island, NY, Russian restaurant "Crystal" in Jamaica, Queens, NY, Crest Hollow Country Club, Woodbury, NY, Royal Regency Hotel, Yonkers, NY, Country Club of Scranton, Clarks Summit, Pennsylvania, Hyatt Regency Philadelphia Penn's Landing, Philadelphia, PA, Banquete Hall, Pittsburgh, PA, Kavsar Halal Restaurant, Pittsburgh, PA, Northampton Valley Country Club, Richboro, PA, Schenley Park Visitors Center and Cafe, Pittsburgh, PA, OceanCliff Hotel, Newport, Rhode Island, Lynchburg, TN, Key Bridge Marriott, Arlington, Virginia, Fort Belvoir Officer's Club, Fort Belvoir, VA, Westridge Club House, Woodbridge, VA.